As part of their social media marketing strategy, YOTO has been utilizing Snapchat. 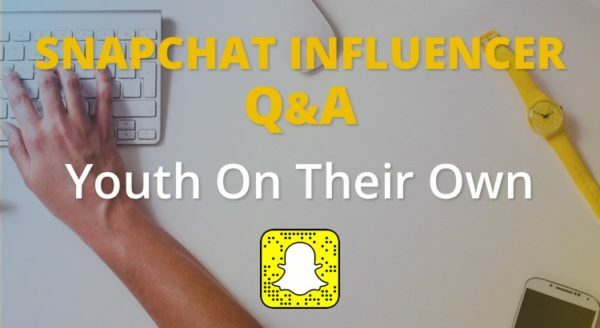 In the interview, Kristyn Conner (Director of Development, tells us how nonprofits can make the most of Snapchat, examples of YOTO’s Snapchat marketing campaigns, what they have found difficult about using the platform, and what makes it different from other social media sites. Q: Hi Kristyn, great to meet you. Thanks for taking the time to share your knowledge with us. Could you tell us a bit Youth On Their Own and what you do? A: Thanks, Jason! Our mission at Youth On Their Own is simple: to support the high school graduation and the continued success of homeless youth. We are a 31-year-old dropout prevention nonprofit based out of Tucson, and we serve nearly 1,600 homeless teens each year throughout Southern Arizona. My position at Youth On Their Own – or “YOTO,” as we often call it – is the Director of Development… which is just a fancy way of saying that I am responsible for ensuring that we raise enough funds to support our programs. Sadly, we don’t receive any direct federal funding, so every year we must strive to raise as many dollars as possible to serve more students in need. The high-paced environment makes my job very unique – no two days are the same. The Stipend – How Does It Work?